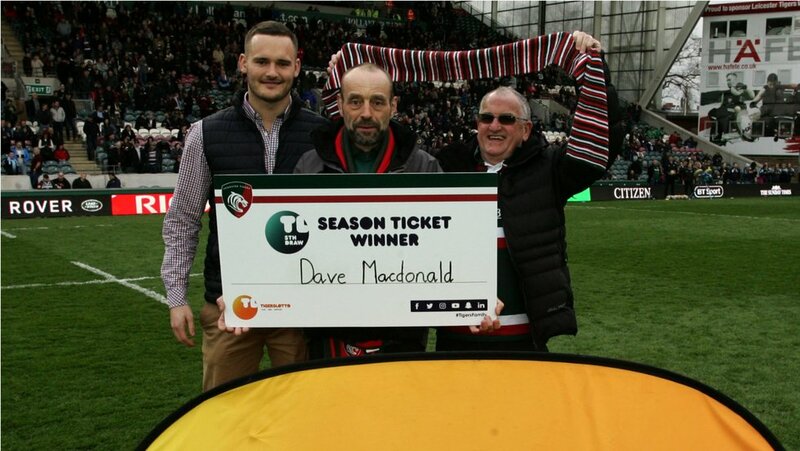 LTTV had a chat with Tigers season ticket holder Dave Macdonald, who was the latest winner of the TigersLotto season ticket draw to win back the cost of your season ticket. Dave, who has followed Tigers for 20 years, has only just been able to buy his first-ever season ticket as he no longer has to work weekends. He was invited down onto the pitch at half-time during Tigers Round 18 Gallagher Premiership fixture against Exeter Cheifs. He was joined by his brother-in-law Reg and Tigers player George Worth joined them both for a photo on the pitch.